Hope to find time to turn this into a real post. But for now I wanted to post this links list that brings to light EIA’s consistently low-balled estimates of renewable energy. No doubt this has enabled many a fossil fuel advocate to have their way with policy makers. This post and the comment thread below is a good starting point. This is disturbing, just how bad IEA is. The estimate below was done around 2013. 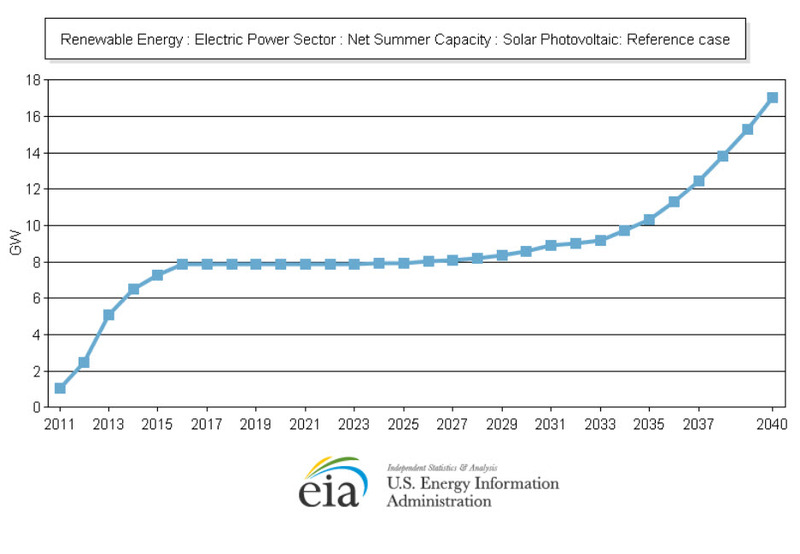 As of the end of 2015, the US has already exceeded the EIA estimate for 2035.